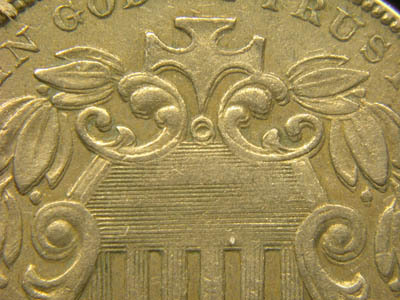 This 1870 makes the Top 20 list for having the best combination of both a widespread doubled die obverse and a widespread repunched date. 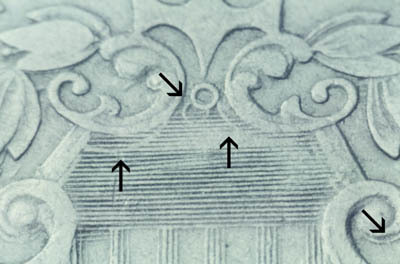 The photos show that the doubled die is spread nearly a full annulet and the repunched date is very far to the right. These photographs graciously provided by JT Stanton and the Cherrypickers' Guide. Here is a photo of the widespread RPD. It is not known whether the digit to the far right is a 0 or a 9. This 1867WR is a worthy runner up. The doubled die is not as dramatic. 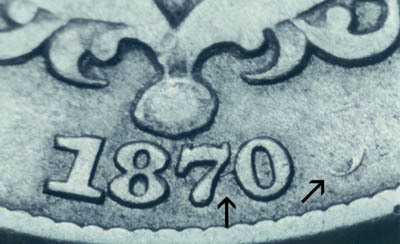 The repunched date is nearly the equal, with the flag of a 7 far to the right. 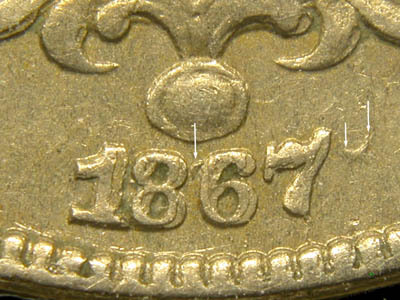 This variety picks up some bonus points for being the more difficult 1867 with rays type. Not described in Breen, but well known and sought after by shield nickel variety collectors. Here is the repunched date showing the flag of a 7 very far wide right.